In today’s automation world stepper motor and servo motor are two most commonly used motors in embedded systems. Both are used in various automation machines like robotic arms, CNC machine, cameras etc. In this tutorial we will see how to interface Stepper Motor with ARM7-LPC2148 and how to control speed of it. If you are new to ARM7 then start by learning about ARM7-LPC2148 and its programming tools. Stepper motor is brushless DC motor, which can be rotated in small angles, these angles are called steps. 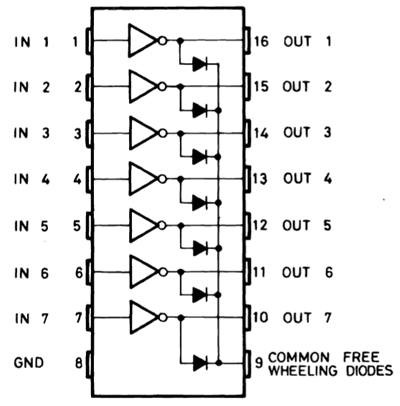 We can rotate stepper motor step by step by giving digital pulses to its pins. Stepper motors are inexpensive and have rugged design. Speed of the motor can be controlled by changing frequency of digital pulses. To know more about stepper motor and its operation, follow the link. In this method we will energise only one coil (one pin of LPC2148) at a time. That is if the first coil A is energised for a small time, shaft will change its position and then coil B is energised for the same time and shaft will again change its position. Same like this, coil C and then coil D is energised to move shaft further. 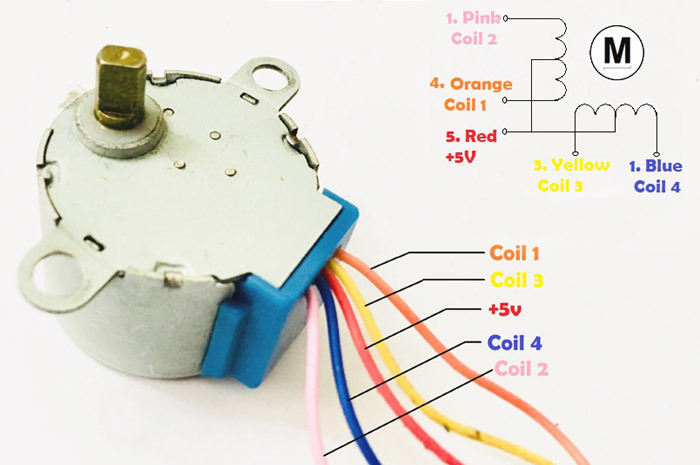 This makes stepper motor’s shaft to rotate in a step by step manner by energising one coil at a time. By this method we rotate the shaft step by step by energizing coil in a sequence. This is called four step sequences as it takes four steps. You can rotate stepper Motor using HALF STEP method (8-Sequence method) according to the values given below. 28BYJ-48 stepper motor is already shown in the picture above. 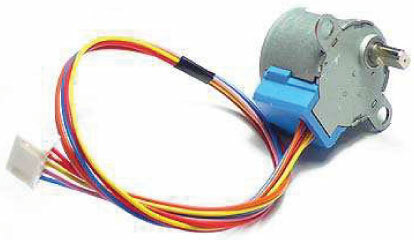 It is a Unipolar Stepper motor which requires 5V supply. The motor has a 4 coil unipolar arrangement and each coil is rated for +5V hence it is relatively easy to control with any microcontrollers like Arduino, Raspberry Pi, STM32, ARM etc. But we need a Motor Drive IC like ULN2003 to drive it, because stepper motors consume high current and it may damage microcontrollers. Most stepper motors will operate only with the help of a driver module. This is because the controller module (In our case LPC2148) will not be able to provide enough current from its I/O pins for the motor to operate. So we will use an external module like ULN2003 module as stepper motor driver. Pins (IN1 to IN7) are input pins for connecting microcontroller output and OUT1 to OUT7 are corresponding output pins for connecting stepper motors input. 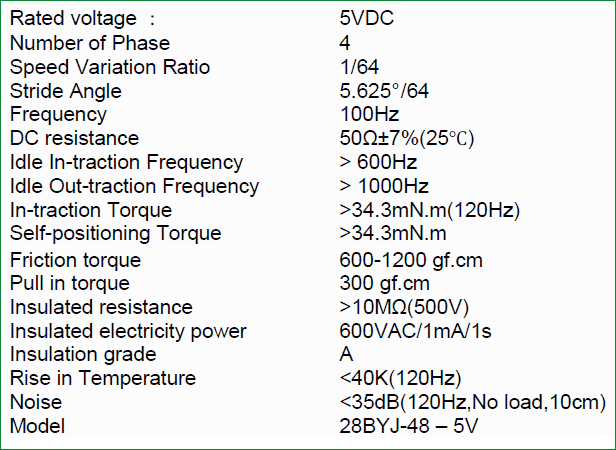 COM is given Positive source voltage required for output devices and for external power input source. GPIO Pins of LPC2148 (P0.7 to P0.10) are considered as output pins that are connected with input pins (IN1-IN4) of the ULN2003 IC. The output pins (OUT1-OUT4) of ULN2003 IC are connected to the stepper motors pins (Blue, Pink, Yellow, and Orange). Four LED’s (LED1, LED2, LED4, LED 4) anode pins are connected with the pins IN1, IN2, IN3, and IN4 of ULN2003 respectively and cathode of the LEDs are connected to GND which is to indicate the pulses from the LPC2148. We can note the pattern of the pulses provided. Pattern is shown in the demonstration video attached at the end. The complete code for controlling Stepper Motor with ARM 7 is given at the end of this tutorial, here we are explaining few parts of it. (0x90000)-Gets slow than previous. So by increasing delay we low the speed of rotation. For my stepper motor, I got 550 steps for complete rotation and 225 for half rotation. So change it according to your requirements. 6. This function is used to create delay time.